Well, it's that time of year. We have made it through the holidays, done our garden planting, spring cleaned... so what's next? Summer! 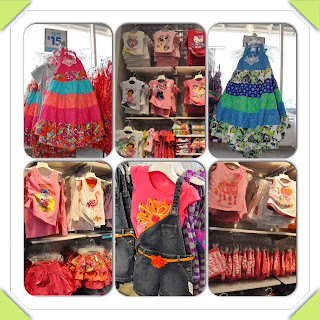 With Summer brings new a colorful fashions at my favorite children's clothing store, The Children's Place. I got a chance to go check them out and I absolutely loved what I saw! 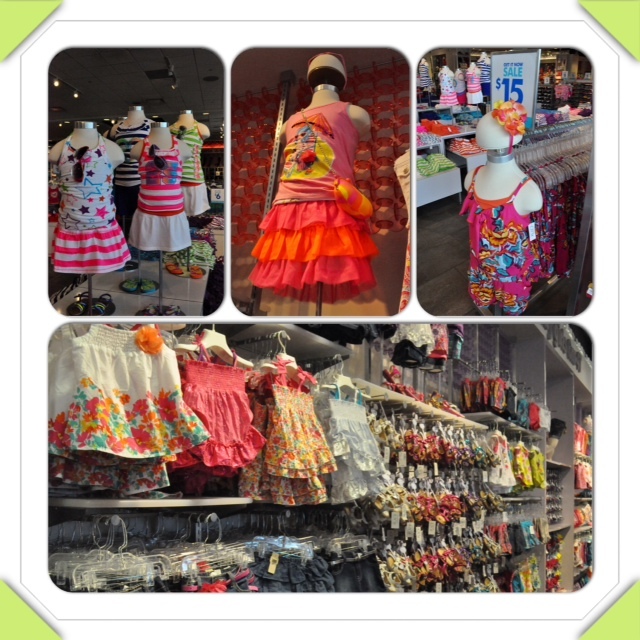 Bright colorful skirts, shorts, tops and dresses for girls! Of course all little girls love to dress up like their big sister so matching patterns with different styles were the key this season. Accessories to match all! 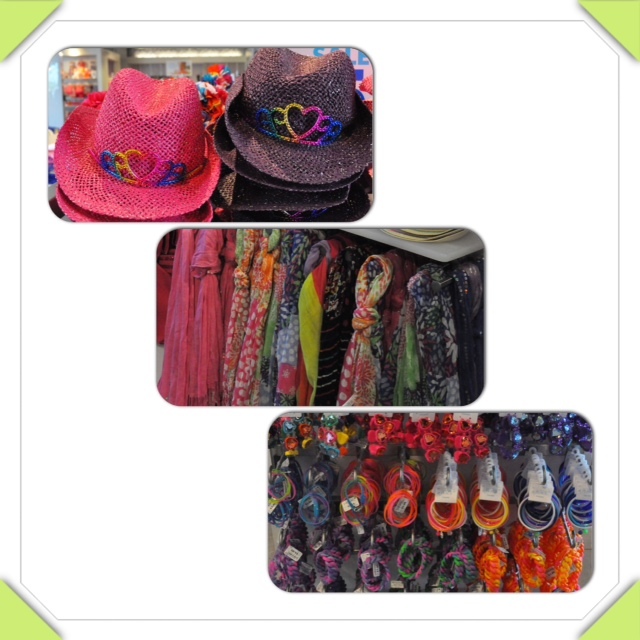 I loved the hats, purses and shoes! Shoes... who doesn't love shoes? The Children's place had 5 different displays of summer sandals from casual to dressy! We can't leave the boys out. Color is in for them as well. Neon colors brighten up the room! 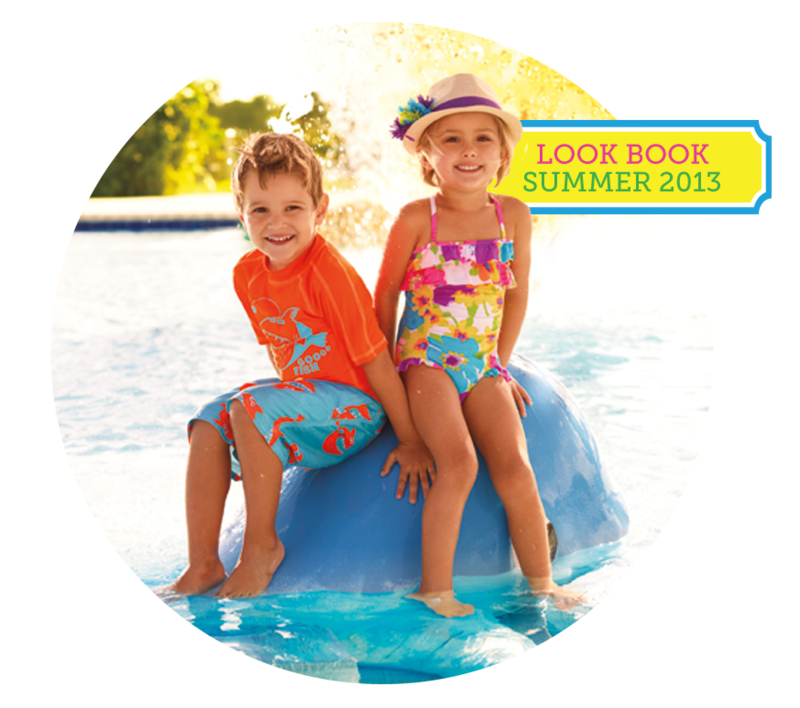 Swim trunks match the rash guards, sandals, sunglasses and hats! Everything is about accessorizing! I love the Page Boy and Fedora hats! I wish my son was a little more open in the clothing department... He is beyond the age where he will willingly leave on an adorable hat. 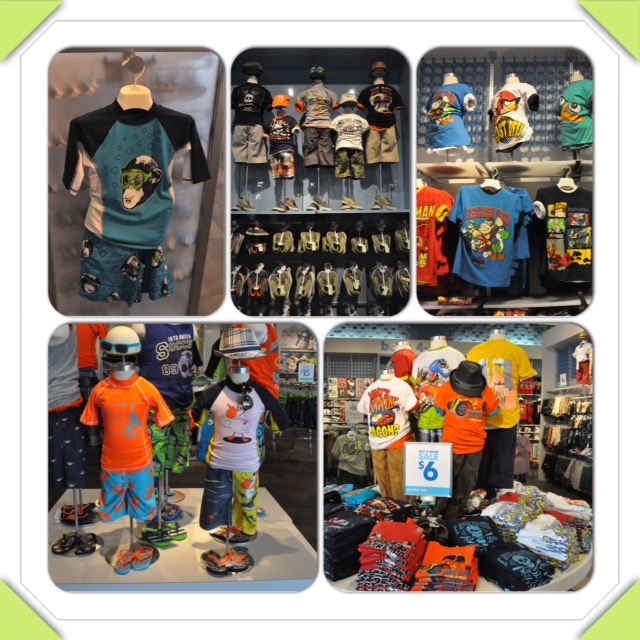 However, they did have a large selection of character tees that he adores! 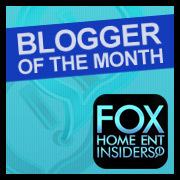 Skylanders, Ninjago, Marvel, and more! Sport shirts are also on the list, numbered "jersey" shirts and comfy shorts. 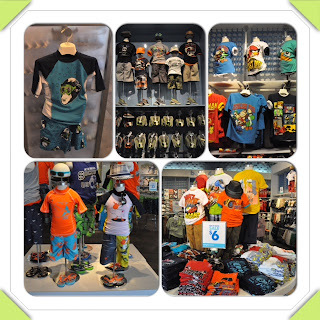 All their shorts and pants for boys have the adjustable waistbands so there is no guessing if something will fit. With all of the coupons for signing up on their email list, you can't go wrong! I got a 30% off coupon just a couple days ago! The coupons are good additional to their already low end of spring savings! Additional to the great savings by getting their emails, let me give you helping hand to start shopping! Who wants a $25 gift card? Enter Below! DISCLAIMER: This is not a sponsored post. 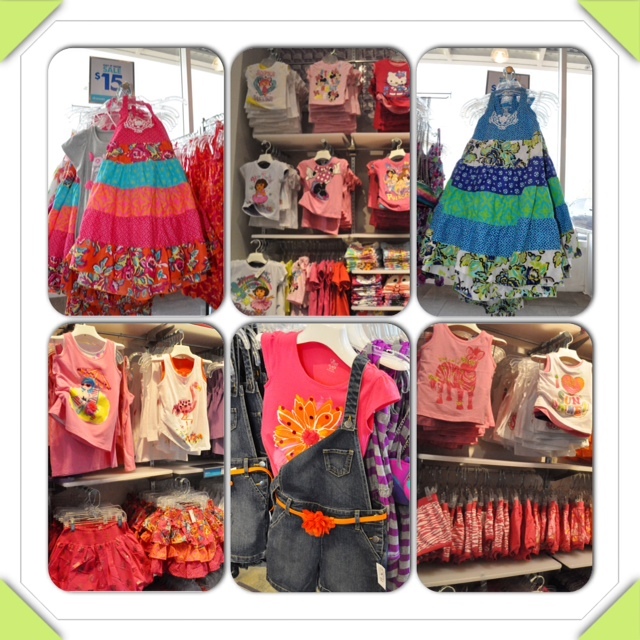 I received a Children's Place gift card to check out the new line of Summer Fashions. All thoughts are my own. Do not use any pictures without permission. My favorite summer activity is going to waterparks! We go every chance we get. Jet skiing at the river. Ooh! We haven't done that since I was pregnant with our first born! We love parks! What's your favorite one? We enjoy going to the beach. We love Bolsa Chica what's your favorite?